This statistic presents the number of daily active WhatsApp Status users as of the third quarter of 2017. 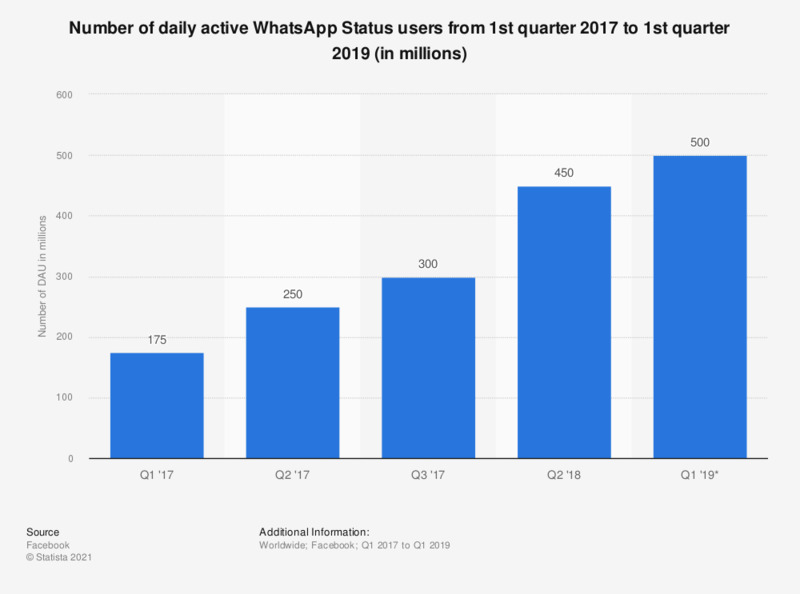 As of the latest reported period, the chat app had 300 million daily active Status users worldwide, up from 250 million global DAU in the previous quarter. No data available for missing quarters. What are the annual net revenues of your organization?